There is an episode of the popular TV sitcom Parks and Recreation in which social media genius Tom Haverford texts while driving and has his smartphone taken away. He is unable to cope, so his boss takes him into the woods to briefly detox from the modern world. This is played for laughs, but Tom knows he uses technology as a distraction. He admits there’s something to disconnecting from the “real world” and being in nature, even if just for a day. The producer and director of Earth Seasoned: #Gap Year, Molly Kreuzman, thinks that living in nature is exactly what we need to slow down. 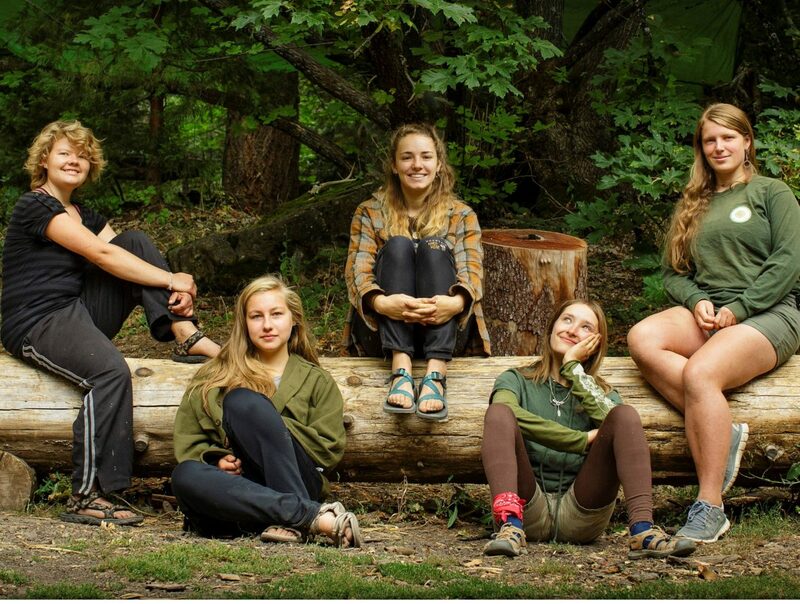 “Earth Seasoned” is a feature length documentary focused on five young women (Tori, Emma, Hannah, Maddee, and Thea), who choose to spend a full year living in the Oregon Cascades, more or less “off the grid.” They build shelter, find edible foods and medicines, deal with conflict, fears, and discomfort, and learn how to live in a new way. Molly Kreuzman believes that living in nature is a healing force, especially in a world that is rapidly changing. She’s worked with Coyote Trails Outdoor School in the Rogue Valley for many years. She’s seen first-hand how learning in nature can be a profound intervention to anyone who feels like they just don’t fit or need a different angle on education. Earth Seasoned: #Gap Year will be released in 2017 when Kreuzman hopes it will be seen at film festivals and in schools around the country. For more information on the film and the upcoming release, please go to their Facebook page at Facebook.com/EarthSeasoned/ or their website at EarthSeasoned.com. In other words: get outside in nature, even if just for a day.